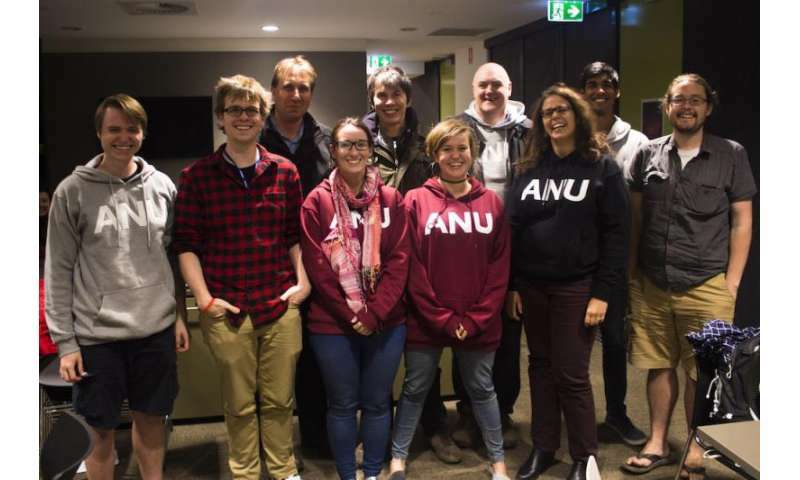 Astronomers from The Australian National University (ANU) are investigating four unknown objects that could be candidates for a new planet in our Solar System, following the launch of their planetary search on the BBC's Stargazing Live broadcast from the ANU Siding Spring Observatory. Lead researcher Dr Brad Tucker said about 60,000 people from around the world had classified over four million objects in space as part of the ANU-led citizen search for the so-called Planet 9. "We've detected minor planets Chiron and Comacina, which demonstrates the approach we're taking could find Planet 9 if it's there," said Dr Tucker from the ANU Research School of Astronomy and Astrophysics. Dr Tucker said the SkyMapper telescope at Siding Spring used as part of the project was crucial in ruling out areas in the southern sky where Planet 9 could be situated. "We've managed to rule out a planet about the size of Neptune being in about 90 per cent of the southern sky out to a depth of about 350 times the distance the Earth is from the Sun," he said. "With the help of tens of thousands of dedicated volunteers sifting through hundreds of thousands of images taken by SkyMapper, we have achieved four years of scientific analysis in under three days. One of those volunteers, Toby Roberts, has made 12,000 classifications." The team will confirm whether or not the unknown space objects are Planet 9, dwarf planets or asteroids by using telescopes at Siding Spring and around the world. Professor Chris Lintott from Zooniverse and the University of Oxford said while Planet 9 had not been found, it had been great fun sharing the search with all of the volunteers over the past three nights. SkyMapper is a 1.3-metre telescope that is creating a full record of the southern sky for Australian astronomers.